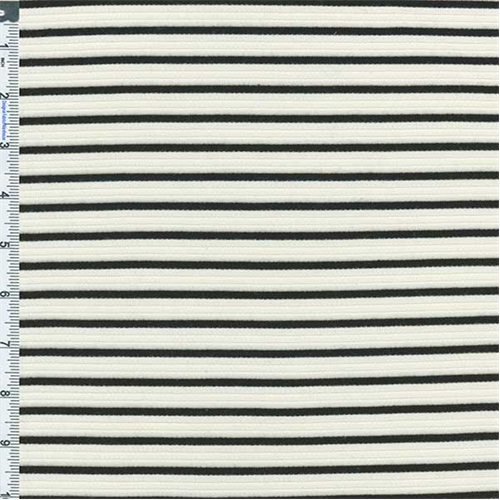 Bamboo Raised Ribbed Stripe Fabric By the Yard, Cream/Black. Soft and light weight raised ribbed stripe. Widthwise stretch, no lengthwise stretch. Suitable for tops, skirts, dresses, use an underlay or lining if opacity is desired.